Although our world is a beautiful place and there are thousands of places in the world that are worth visiting but there are some dangerous places on our planet that the thought of going there will give you some serious nightmares. Visiting these places means that you don’t love your life anymore and by that, you can realise that how life-threatening these places can be. The more you learn about these dangerous places, the more you will give up the thought of visiting there. Today, we are listing down the top 10 most dangerous places in the world. We recommend you to not to travel to these places unless you have given up all hopes in your life. From all around the world, we present you the top 10 most life-threatening and dangerous places where you can feel the wrath of the mother nature. Although Italy is a dream destination for all the enthusiastic travellers out there but not every city in Italy is worth visiting. Naples is one such city which you would love to avoid because the city has been a dumping ground for toxic waste for decades. The reality is that it’s one of the poorest cities in Europe. The city has also earned the title of the Italy’s Scariest City. Mount Washington is the highest peak in the Northeastern United States. The mountain is very well-known for its dangerous weather. 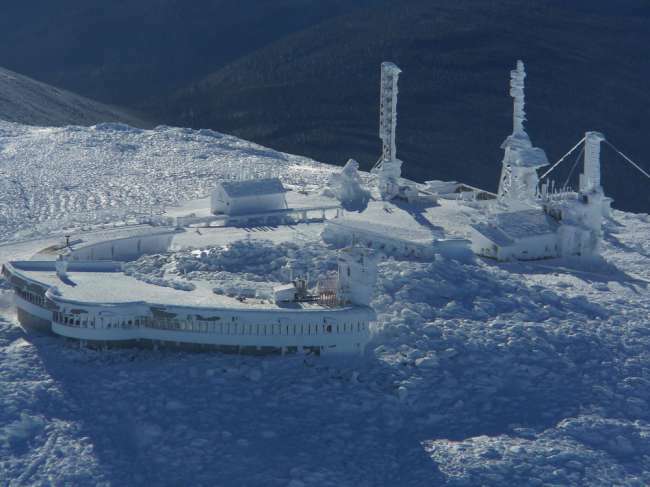 The maximum recorded wind speed at the mountain is 231mph(372 Kmh). If you go shocked to know about the speed of the strings, then wait before you know the minimum temperature that can drop as low as -40 degrees. Undoubtedly, it is one of the Deadliest Peaks in the world. 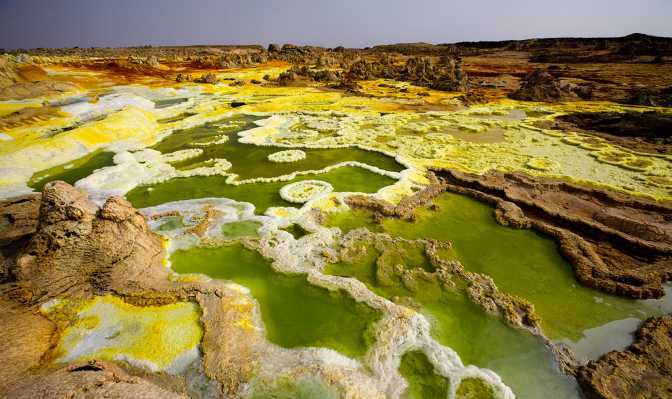 During the daytime, the average temperature of the Danakil Desert is recorded as 50 degrees. It is one of the lowest places on earth and it is known for its dangerous volcanoes and extreme heat. Some people refer it as the Hell on Earth but you will be amazed to know that still few people reside in the area because of the salt mining business. Indonesia has been a top pick when it comes to choosing the best tourist destinations in the world. 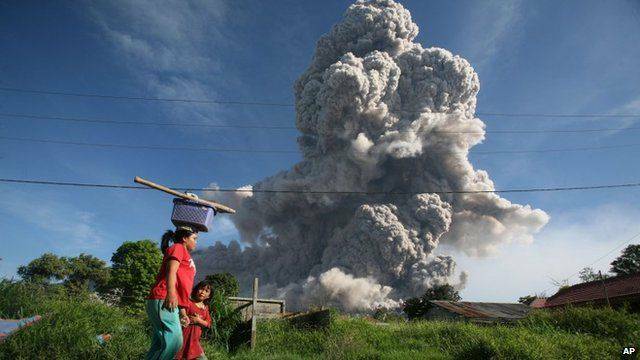 But, if you are planning to visit there, we would recommend you to not visit the Sumatra Island where an active volcano, called as Sinabung Volcano is situated. The nearby areas have experienced the wrath of frequent eruptions and get covered in lava and ash. The volcano is among the most active and dangerous volcanoes in the world. Now, this place in Africa will certainly make you feel like hell. The Afar Triangle is often regarded as one of the most dangerous places in the world. It is one of the hottest places on earth and the lowest place in Africa. You can realise how dangerous the place is when you learn the fact that the floor of most of the region is composed of lava. Lake Nyos is a crater lake which has been the cause of the various deaths and calamities. A layer of magma lies beneath the lake which leaks Carbon Dioxide into the lake, changing the fluid into Carbonic acid. The emission of Carbon Dioxide from the lake has already taken many lives and the lake has become a dangerous threat to the nearby areas. 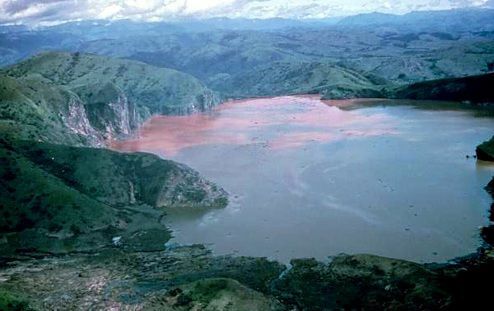 Lake Nyos is definitely one of the most dangerous places in the world. 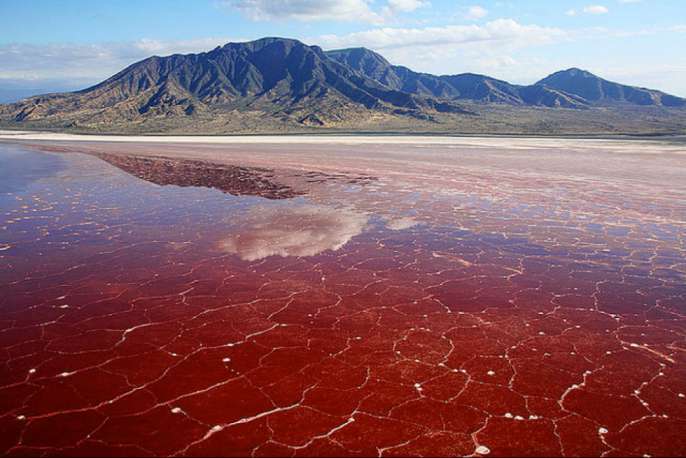 Lake Natron definitely looks like a surreal place from your dreams but everything is not the way you see them. The crust of the lake is made of alkali salt that can kill every living being with just a direct contact with its surface. Not only that, the area is filled with toxic gases that will suffocate you death in case you are planning to visit there. You can realise how dangerous this place is by reading its name, The Valley of Death. 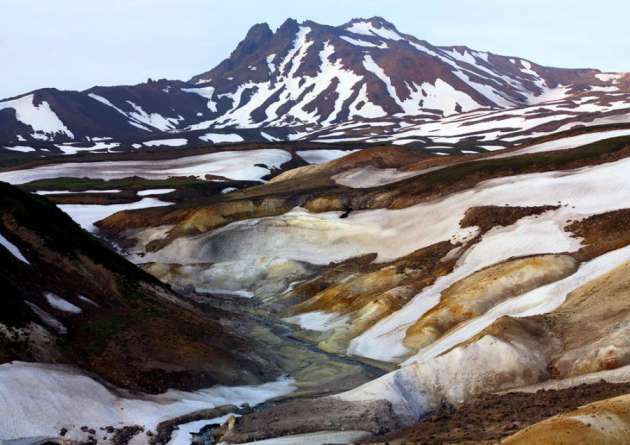 The valley is located at the foot of a stratovolcano and is the home of the volcanic gases that can kill any living being trying to pass the valley. Now you know why this place has been included among the most dangerous places in the world. Darvaza Gas Crater was not as dangerous as it is today unless, in 1971, a bunch of Geologists decided to set a collapsed crater on fire to prevent methane gas from leaking. But things turned worst and the crater is burning since then. You can say that humans have a hand in making this place as one of the most dangerous places on the planet. 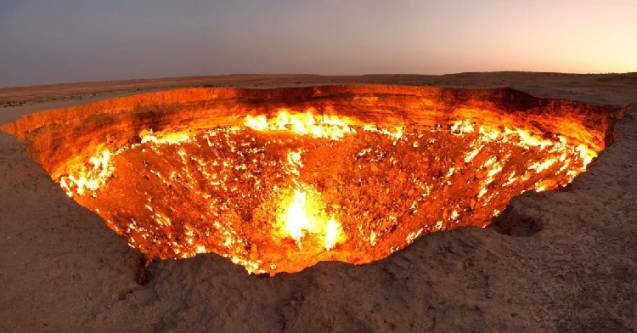 It is now nicknamed as the “Door to Hell“. 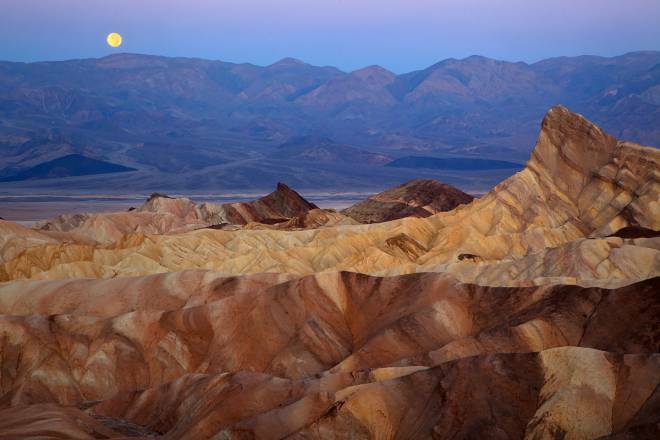 Another Death valley but this one is in the United States, it is one of the hottest places in the world where the temperature can go as high as 56 degrees. It is referred as a natural furnace made by the mother nature itself. As scary as its name, tourists are advised not to explore the location on their own. If you are searching for hell, then definitely your search will end at this place. Don’t miss: 10 Deep Sea Creatures That Prove Deep Sea Is Scary As Hell. Do let us know if you know any other places that are as life-threatening as these top 10 most dangerous places in the world.